These products serve a wide range of applications in promotion, education, security, finance, training, recruiting, IT and communications and exhibition & conference industries. Designs and capacity can be as colourful and eyecatching or as practical as required to meet any budget. Silver Trak offers the full solution to your project. Through sourcing the highest quality components and using the latest technology in printing and duplication we are able to provide the best possible service and pricing to all our clients. 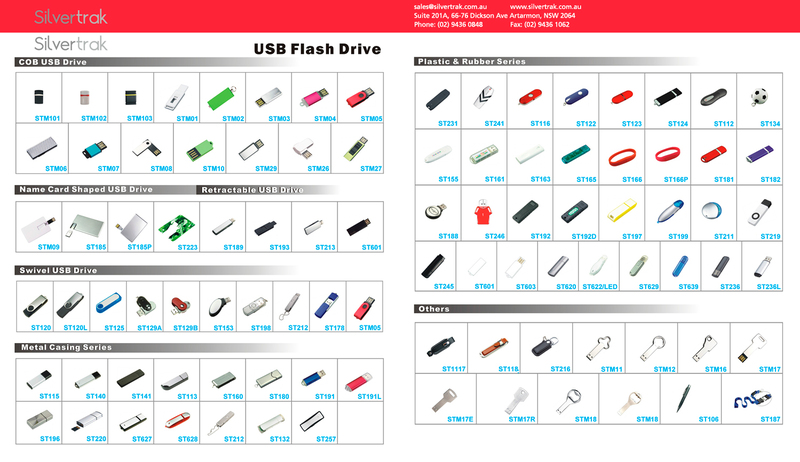 Call us today for our latest USB product range.